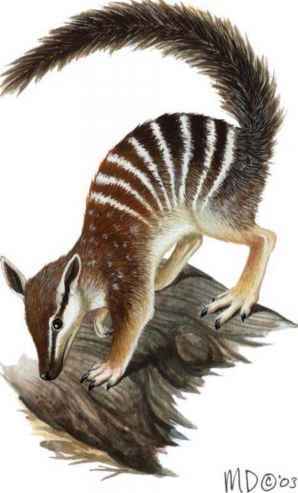 At the time of European settlement (late eighteenth century to early nineteenth century), numbats were distributed in a broad band across the southern half of central and Western Australia, the eastern and northern limits of their range represented by western New South Wales and southwestern Northern Territory, respectively. By 1985, num-bats had disappeared from all but two small locations in the southwest of Western Australia. A program of feral red fox (Vulpes vulpes) control, reintroduction, and translocations has resulted in nine wild and two free-ranging fenced populations.